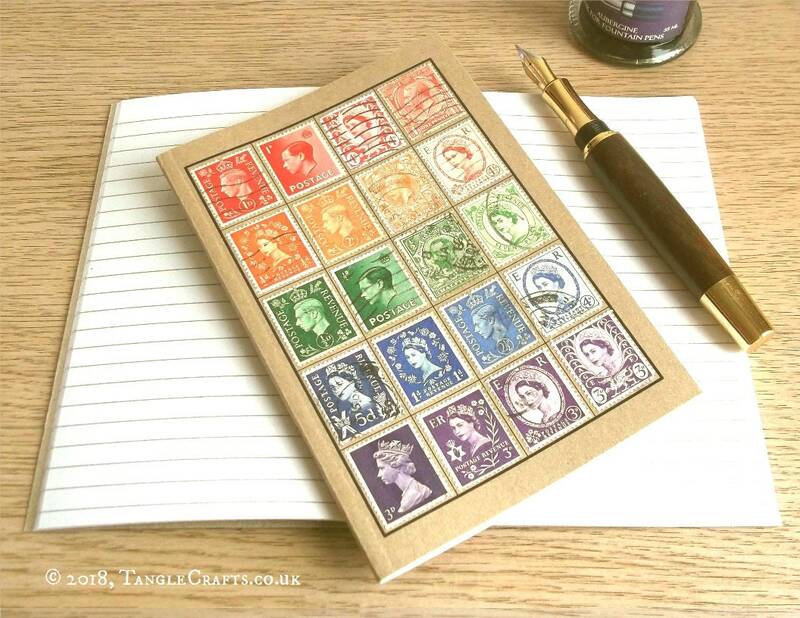 Inspired by old stamp albums, the front cover of this Re: Collect Notebook features a printed grid which has been filled with genuine vintage postage stamps from Great Britain, in a rainbow of different shades. 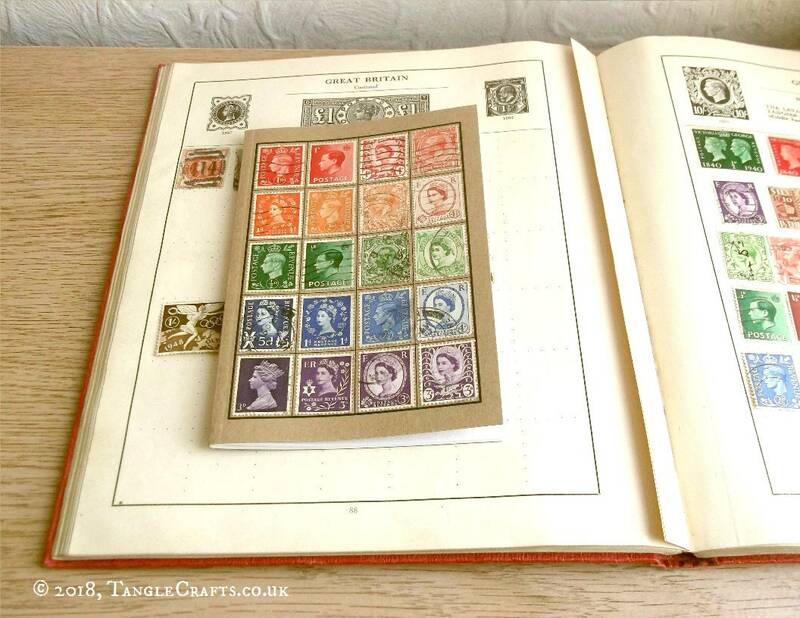 Would make a great bon voyage gift and/or memory book for a traveler, or simply a fascinating and eclectic addition to any desk. 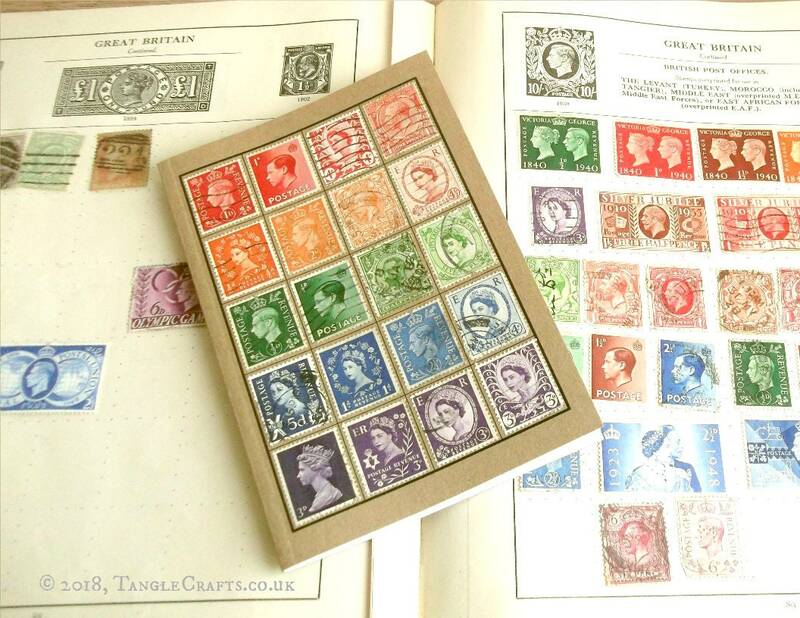 The postage stamps used date from around the 1910s through to the 1960s and bear fragments of postmarks and other cancellation marks as a testament to their former active service for the Royal Mail. 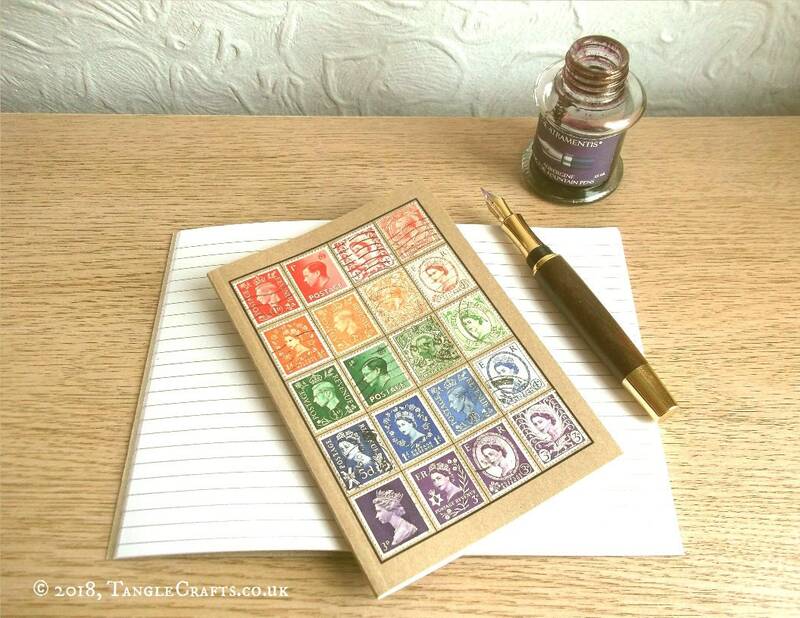 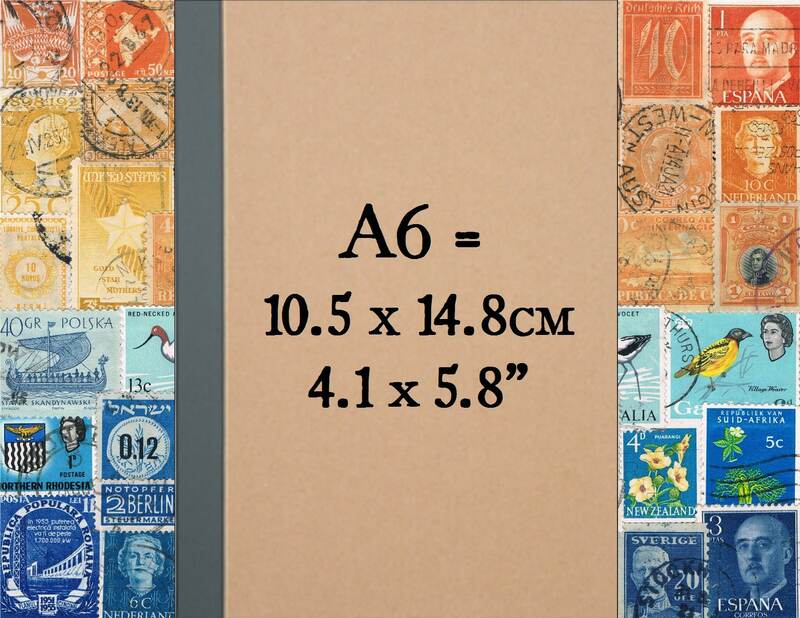 Would you like a notebook similar to this one but featuring stamps from a different country, or focused on a particular colourway? 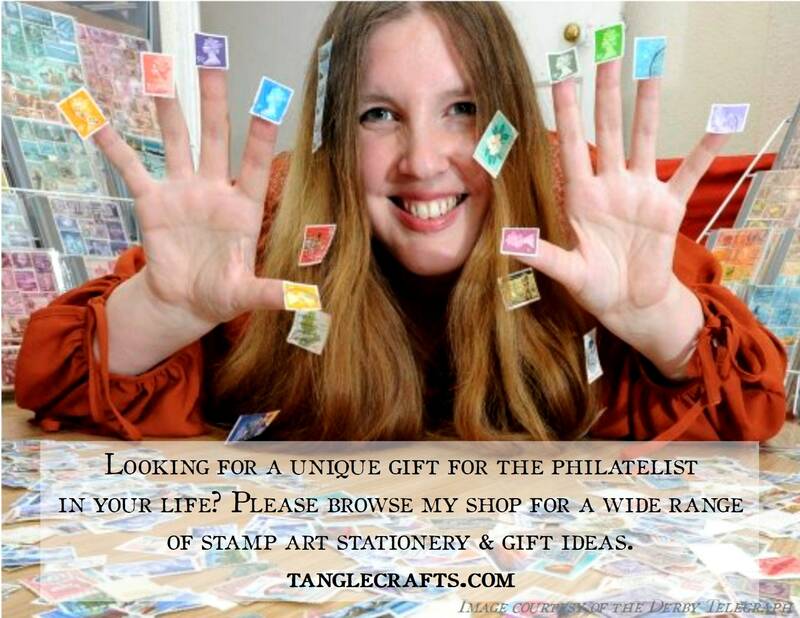 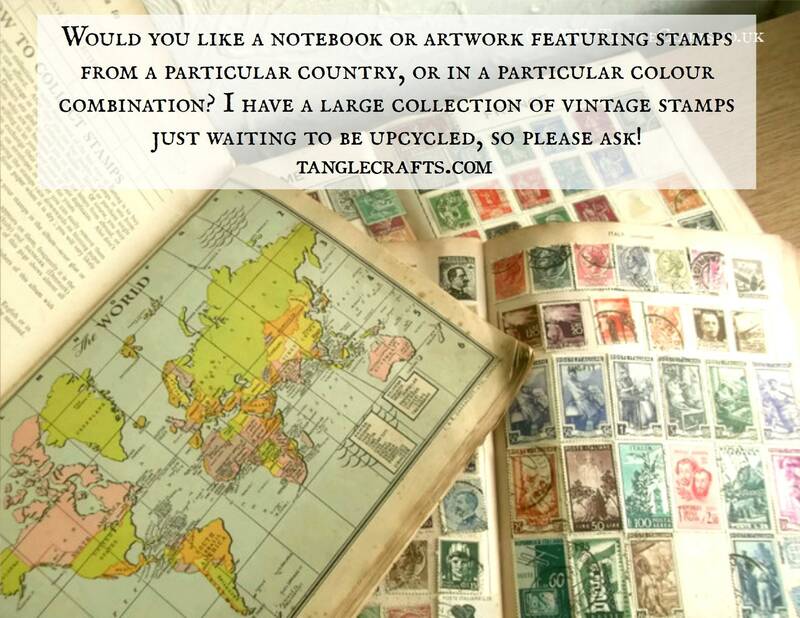 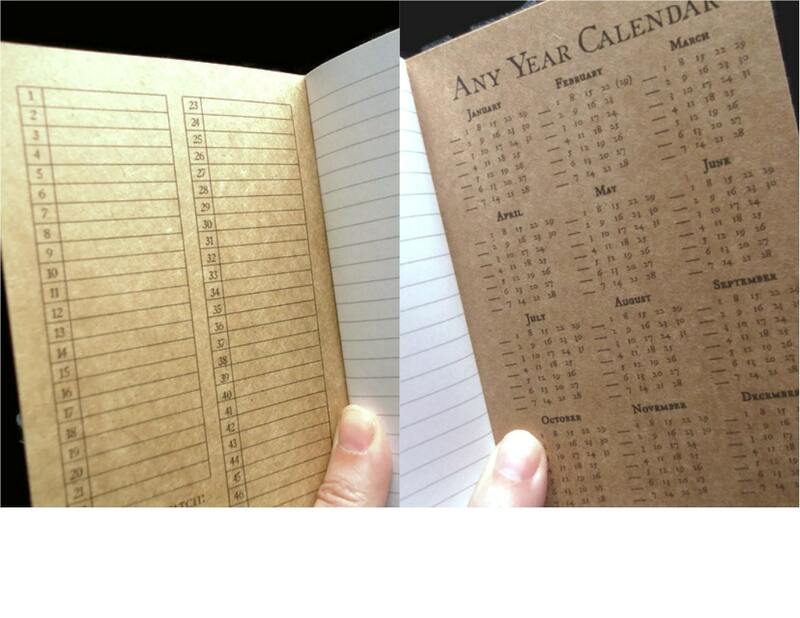 Please ask - I will be happy to customise a new notebook, just for you! 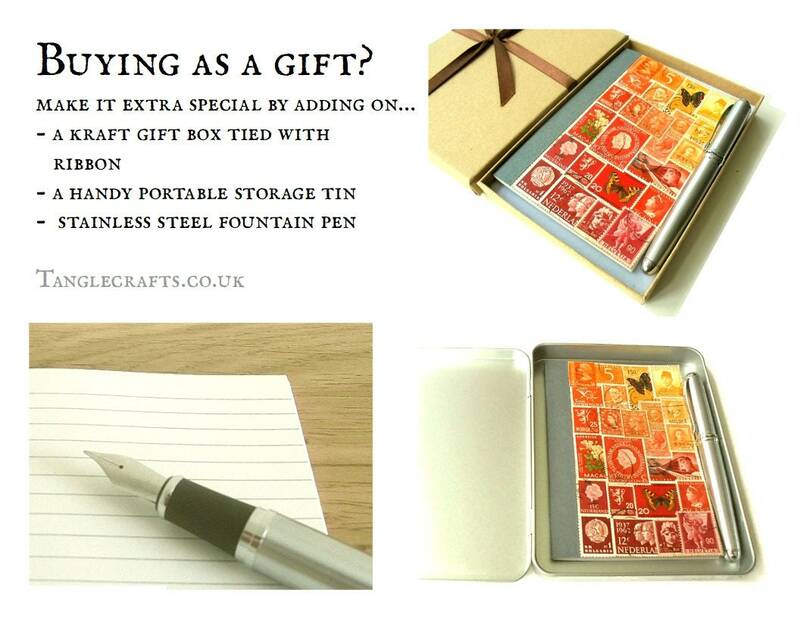 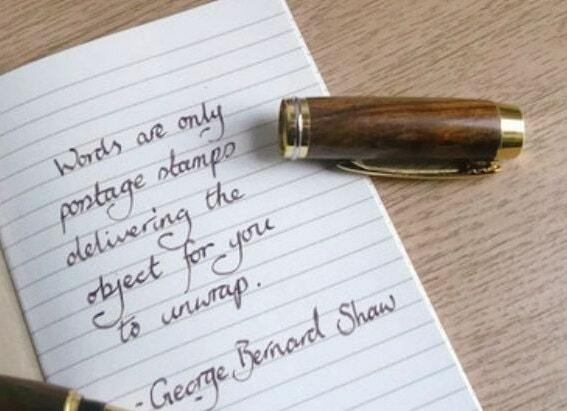 Lined, Dot grid, Squared or Plain pages available.